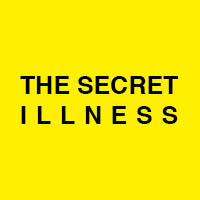 The Secret Illness is a global community project that explores the realities of living with Obsessive Compulsive Disorder (OCD) through The Creative Arts. I co-founded The Secret Illness with Becca Laidler and continue to work on it in my role as Creative Director. In 2015 we went live with the website and received some extremely powerful, frank, visceral and sometimes heart-breaking Wall Posts. Many of us think we know what OCD is, but take a browse around The Secret Illness Wall and you might be surprised to find out what it *really* is. In the Spring of 2016 The Secret Illness was picked up by the press and the secret was out! I animated the first Secret Illness co-created film. The film was developed from a poem written by James Lloyd, a writer and science journalist in the UK who has lived with OCD since childhood. It was a special experience turning James’s words into visuals and animating them into life. One of the battles we have with mental health awareness is that it’s not treated with parity with physical illness, because it can’t be seen, so in the film I gave the ghost character bones to highlight and challenge that. Also the skeletal look – showing him stripped right back to his bones – helped show the vulnerability of the character. The film has received positive and emotional feedback from viewers living with OCD across the world and went on to win the International OCD Foundation video competition in 2016. This Old Ghost was then translated and re-voiced into Spanish by the Argentinian singer songwriter Ro Vitale. This project has also given me the opportunity to work in a new medium, that of the audio podcast. In 2017 we staged our first live event as we were invited to speak and run a workshop at the IOCDF annual conference in San Francisco. In March 2018 The Secret Illness participated in the OCDAction conference for which I designed an interactive “exhibition”, ran workshops and two co-creation projects. In November 2018 I curated and hosted our first ever live event designed for a “non-OCD” audience at The Hospital Club in London called “What’s Going On In Your Head”. Following the success of that event I have now been invited to develop it into a series and explore other mental health and psychological topics using the same format.